Proactively participates in the marketing of the ETF range by working with client proposition team and product specialists for the creation of high quality of sales materials. The role holder must be an effective team player within the UK AMG. Maintain accurate records regarding account visits, client conversations, finalised contracts, etc. Through the implementation the Global AML, Sanctions and ABC Policies, supporting Guidance, and Line of Business Procedures the jobholder will make informed decisions in accordance with the core principles of HSBC’s Financial Crime Risk Appetite. 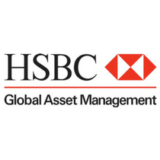 The role holder will be expected to help drive the adoption and penetration of HSBC ETFs within the UK across all segments. Engage the clients by participating in their Fund Selection Committee and Fund Selection Process, as well as represent business internally on ETFs. Extensive understanding and experience in the trading of ETFs. The role will also involve client interaction and the job holder may need to obtain adequate regulatory certifications.